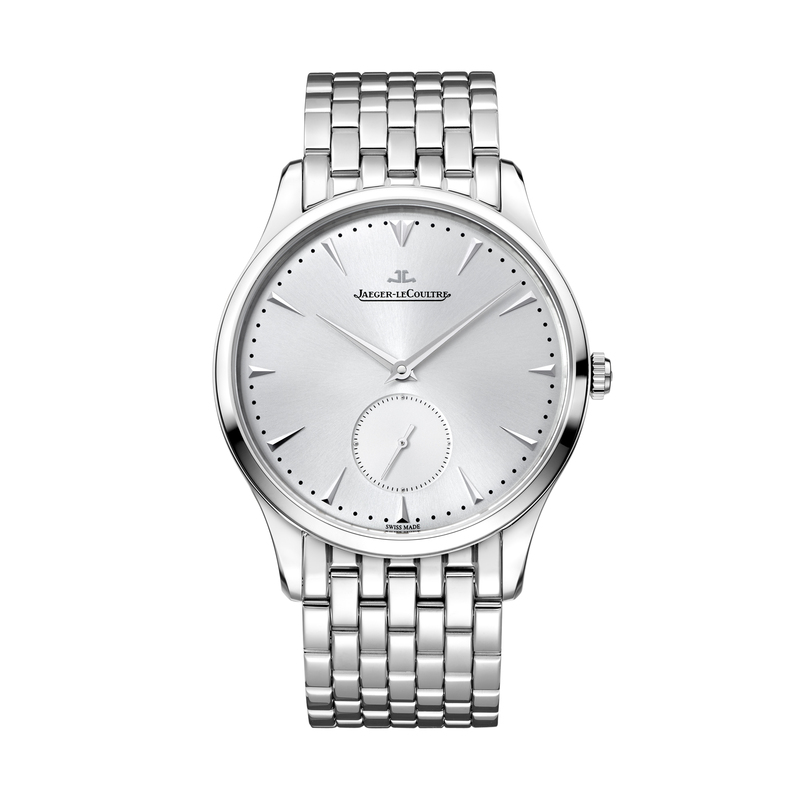 With the Master Grande Ultra Thin Small Second, Jaeger-LeCoultre presents a refined and discreet timepiece. The stainless steel case houses the silvered sunburst dial with applied indices and dauphine hands. Six o'clock marks the location of the small seconds. The watch is fitted with the calibre 896 and offers a power reserve of 43 hours. A stainless steel link bracelet completes this distinguished timepiece.